Ronnie O’Sullivan and Crucible king Mark Williams each won two categories at the annual World Snooker Awards ceremony in London tonight. O’Sullivan took the main Player of the Year award having enjoyed one of the best seasons of his career, capturing five ranking titles in a single campaign for the first time. The 42-year-old won the English Open, Shanghai Masters, UK Championship, World Grand Prix and Players Championship. O’Sullivan also received the Kunlunshan Fans’ Player of the Year award, voted by many thousands of fans on Twitter, Facebook, WeChat and Weibo. 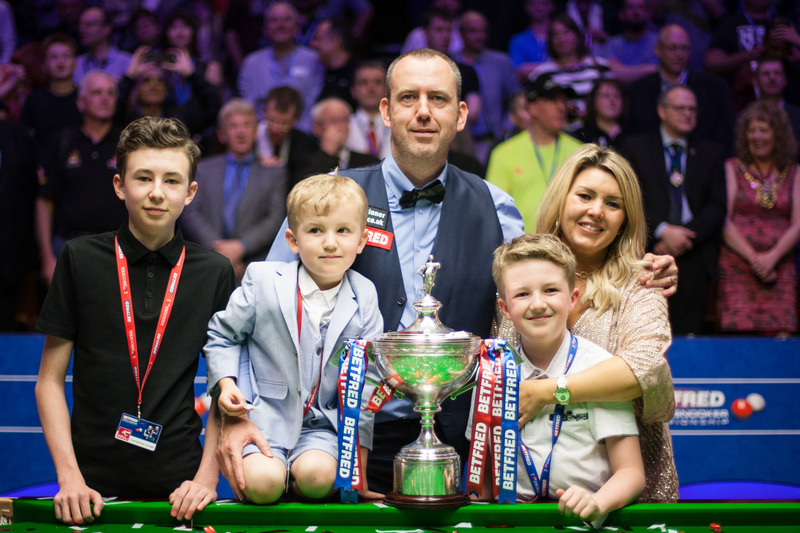 Williams won the Betfred World Championship last Monday for the third time in his career and first since 2003; the 43-year-old becoming the oldest player to conquer the Crucible since fellow Welshman Ray Reardon in 1978. Earlier in the season he also lifted silverware at the Six Red World Championship, Northern Ireland Open and German Masters. He was handed the Snooker Writers’ Player of the Year award, voted by the sport’s journalists. And Williams also received the Performance of the Year award for his tremendous display at the Crucible. The Rookie of the Year category was won by China’s 20-year-old Xu Si, whose impressive debut season was highlighted by a run to the semi-finals of the Indian Open. Magic Moment of the Year was won by Michael Georgiou for his dramatic victory at the Coral Shoot Out, beating Graeme Dott to the title with just a few seconds on the clock. Ding Junhui was inducted into snooker’s Hall of Fame. Asia’s best ever player, Ding has won 13 ranking events and had a huge influence on the growth of snooker in China over the past 12 years. 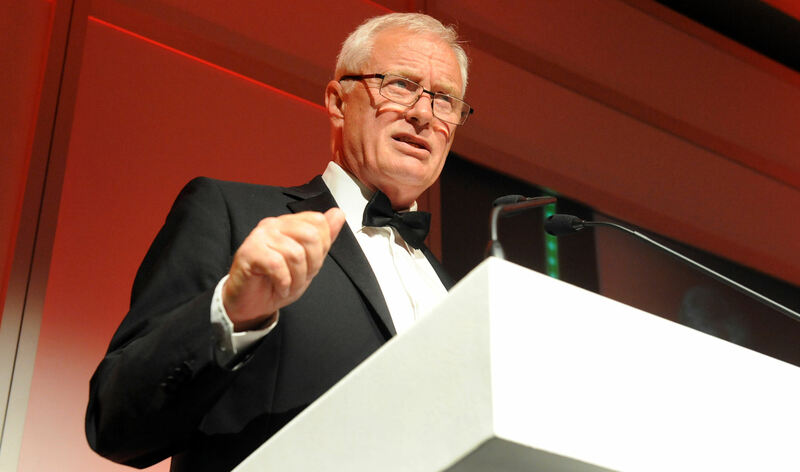 Also inducted into the Hall of Fame was World Snooker Chairman Barry Hearn, for leading the global development of the sport since he took charge in 2010. Ronnie however was not present at the Dorchester to collect his, which didn’t go down well with the other players (and he may to be fined as well I suppose). Shaun Murphy and Steve Davis collected Ronnie’s awards on his behalf and had a little dig at him in the process. ← Mark Williams is your World Snooker 2018 Champion! .I have nothing against Michael Georgiou(I wish I had his snookertalent),and I am sure he works hard at his game and is a nice man,and I have every respect for him,but the Shoot Out is not a real championship to me but a big piece of good luck,and should never been rated as a ranking tournament. Yes I don’t think many would disagree with those awards. Maybe Xu Si is a bit fortunate, but the ‘rookies’ this season have not won very many matches. The really talented one is Yuan Sijun, just 1 place lower, but he hasn’t quite settled yet. I expect him to blossom next season, particularly with the arrival of his 3 best friends. I’d also have given a mention to Cao Yupeng, whose performance this season was astounding. In 2016-17 he earned £6525, 122nd on the 1-year list. It wasn’t much more the year before. But this season, despite a 1st round exit in Sheffield, he made £126000, 20th on the 1-year list! Unlike MJW, he’s not a former top player who rediscovered something, he just reconstructed his technique by himself. Unfortunately he’s probably also eligible for some other awards (“Choke of the Century”? ), but if ever there was a case for “Most Improved Player”, he wins by a mile.